It’s the technology that everyone is talking about. And for good reason. Blockchain is creating a new Internet and is changing the way people all over the world process transactions at the same time. It’s ingenious, it’s revolutionary and it’s impacting more and more industries with each new development. The technology offers a more secure way to complete digital transactions. Parties involved no longer need to rely on a middle man to finalise deals and the entire process is completely transparent. So how does it work? In the most basic of terms, transactions are represented online as a “block”. This block goes out to different parties in a network who have to approve the transaction and only then is it finalised. All transactions are available to the public and due to the elimination of the middle-man, they are almost 100% tamper-proof. Now, the marketing industry can expect to see some benefits from blockchain. So, should search marketers prepare for a revolution in the industry? We’d say so. Especially when this report by Epstein claims that blockchain has already made its way into over 30 marketing applications. Let’s take a look at how blockchain is set to impact SEM and SEO services. SEO: The process of earning traffic to your site through unpaid methods. This is all about boosting your ranking on search results through organic methods, like keywords and good, consistent content marketing. SEM: SEM is the process of earning traffic to your site through paid methods. Things like Google AdWords and paid search listings help to get site visitors quickly. Results are more instant than those you’d get with organic SEO, but it’s best to combine both strategies if you want to see long-term benefits. Nowadays, we tend to use the term SEM (or search marketing) to refer only to paid marketing strategies. In the marketing industry, central authorities like Google Display Network and Facebook connect website owners with advertisers. Google is used to place ads onto websites and onto search results, to benefit both parties financially. Essentially, it’s the middle-man that permits that level of trust in digital transactions such as this. So, when we add blockchain into the equation, what changes? How is Search Marketing Impacted by Blockchain Technology? Imagine that these two parties already trusted each other and didn’t need that central authority. It would save money, speed up transactions and eliminate the possibility of digital information or money being tampered with.Blockchain is able to verify that all users are genuine and that all agreed-upon actions are carried out properly. The website owner wouldn’t be able to charge the advertiser for clicks they’re not really getting, making everything 100% valid and secure. Companies will begin to integrate blockchain into their websites, a process that will have to involve web developers and search marketers. The influence that blockchain has on organic SEO will be enormous. 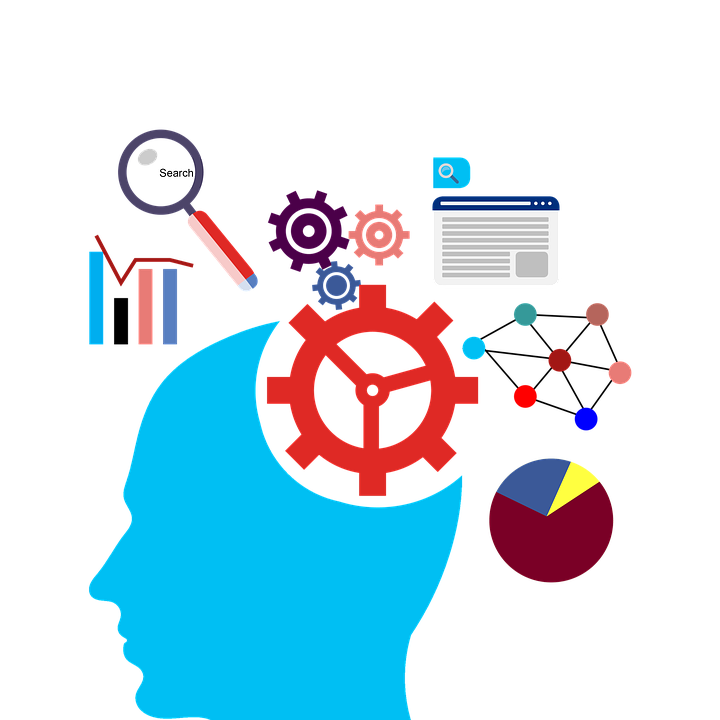 Its ability to prove that website visitors are human allows brands to build more trust and credibility. With access to an in-depth ledger system, online marketers will have greater insights to assist with e-commerce, email marketing and pay-per-click services. PPC marketers can save money and streamline their marketing processes, via elimination of fraudulent clicks. No longer will we have to pay for clicks from bots that never actually convert. It will reduce online fraud. The internet is rife with fraudsters claiming to be someone they’re not. Blockchain will reduce this dramatically. As a distributed ledger, it will provide complete transparency for all parties involved in a digital transaction. They’ll have no need to share their personal details and they can count on it that every party will honour their side of the agreement. It will save money. Advertisers and website owners will no longer have to pay Google to act as a middle-man. Instead, they can communicate directly and blockchain takes care of everything and ensures that the agreement is valid. 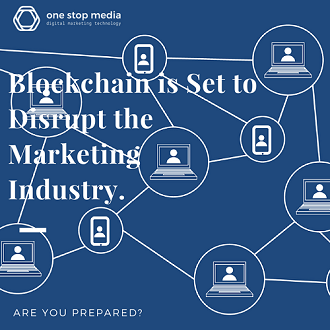 Other aspects of the marketing industry that are likely to be shaken up by blockchain are content marketing, influencers, analytics, remarketing and more. With such dynamic applications that are moving at cut-throat speed, don’t be surprised to hear of more sectors taking on blockchain in the near future. Blockchain is about to disrupt the entire marketing industry. Are you prepared? Very soon, your marketing campaigns, websites and SEM strategies will have to be shaped around the consideration of blockchain technology. In these early days of this exciting technology, small to medium businesses might be unsure about how they can take advantage. If that’s the case, consult blockchain experts that can transform your digital services and offer an unparalleled experience to your clients. One Stop Media offers blockchain services to forward-thinking companies around Australia.